The machine is suitable for the splitting of various kinds of roll-shape materials such as BOPP, PET, PE, PVC, aluminum foil, and paper. 1. A vertical slitting machine. 2. Independent computer control panel, easy to operate. 3. Magnetic powder for tension control of rolling and unrolling. 4. 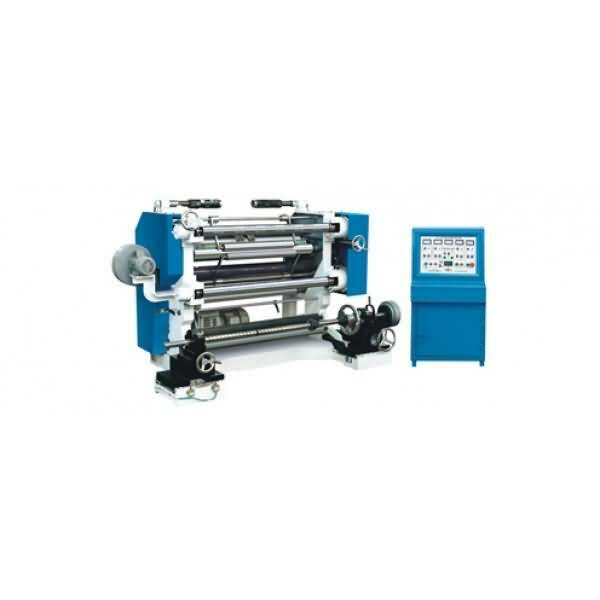 Automatic metering, and photoelectric automatic deviation correction for unrolling. 5. Provided with air exhaust or takeup device for side waste. 6. Double inflatable shaft for rolling with smooth slitting end face. 7. The slitting of aluminum foil and paper requires circular cutter accessory.